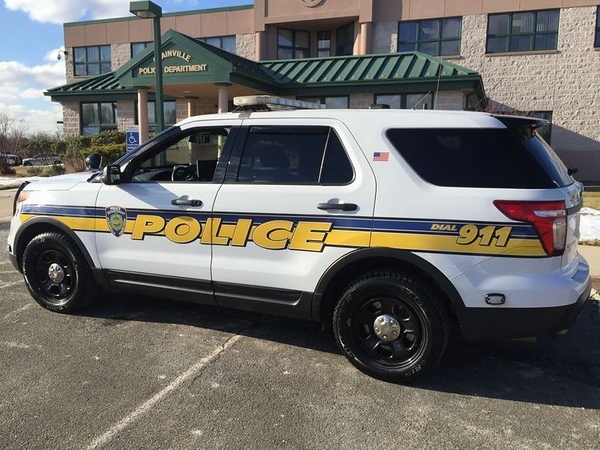 PLAINVILLE - A Hartford man was arrested Tuesday and charged with stealing an SUV from a Plainville home where two vehicles had been taken from the driveway within two days in June 2017. Jorge Burgos, 19, allegedly stole a 2013 Nissan Altima from a local home in the overnight hours on June 18, 2017, and abandoned it in Hartford, not far from his apartment complex, according to the warrant for his arrest. The vehicle was valued by its owner at $15,000. The victim had also reported on June 16, 2017, that his 2012 Nissan Rogue had been stolen, as the key fob was accidentally left inside. During that car theft, the key fob for the Altima was also stolen. The victim tried to park the Altima so that it would be difficult to move without moving another car parked near it, but police believe Burgos drove over the front lawn of a neighbor to get the vehicle out of the driveway, according to the warrant. The document does not say whether anyone was charged in the theft of the Rogue. That vehicle was found abandoned in Hartford with extensive front end damage. It was considered a total loss by the insurance company. According to the warrant, police found a number of items inside the abandoned Altima. Some of these items had Burgos’ DNA on them. Burgos has been charged with second-degree larceny and second-degree criminal trover. He was arraigned Wednesday, in Bristol Superior Court, where Alfonzo Sirica, his public defender, noted that the alleged behavior occurred around the same time as the crimes for which Burgos has already served a prison sentence. Burgos’ bail was set at $25,000, and his case was continued to March 8 for a plea. Posted in New Britain Herald, Plainville on Wednesday, 6 February 2019 16:50. Updated: Wednesday, 6 February 2019 16:53.